Madeline Dare trades New York's gritty streets for the tree-lined avenues of Boulder, Colorado when her husband Dean lands a promising job. Madeline, now mother to beautiful toddler twin girls and a full-time homemaker, has achieved everything she thought she always wanted but with her husband constantly on the road, she's fighting a losing battle against the Betty Friedan riptide of suburban/maternal exhaustion, angst and sheer loneliness. A new freelance newspaper gig helps her get her mojo back but Boulder isn't nearly as tranquil as it seems: there's a serial arsonist at large in the city. 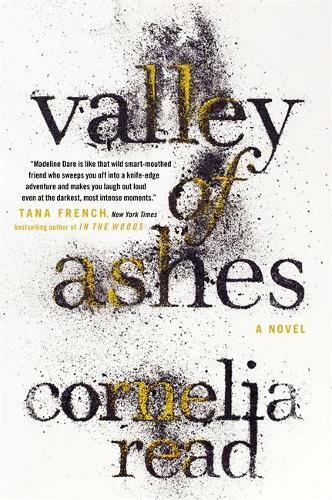 As Madeline closes in on the culprit, the fires turn deadly - and the stakes tragically personal. She'll need every ounce of strength and courage she has to keep the flames from reaching her own doorstep, threatening all she holds most dear.